It's Monday, which means that the European Nintendo Download will give us a pleasing start to the week. On the way, most notably, is Mario's critically acclaimed 3D début on the Wii U, while the 3D classics from SEGA finally arrive in the West for the first time; in addition we also have Virtual Console offerings, lots on the 3DS eShop and the return of WiiWare. Let's get on with it. 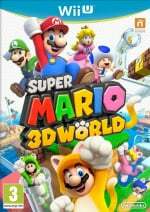 Super Mario 3D World (Nintendo, €59.99 / £49.99) — With each passing reveal and trailer in recent weeks the hype has increased for this latest 3D Mario title; it's bursting with creative level design, new power-ups, fun mechanics and the best multiplayer yet seen in a Mario platformer. 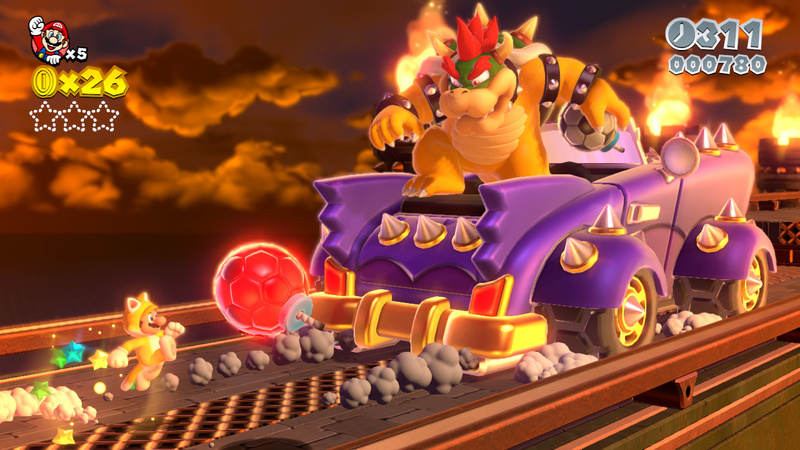 It's been critically acclaimed and could be the definitive Wii U title of 2013 — we awarded 10/10 in our Super Mario 3D World review. Available from 29th November. Uncharted Waters: New Horizons (Tecmo Koei Games, €7.99 / £5.49) — This title blends RPG elements with intricate strategy and does so with great skill. It has a solid storyline and micromanagement for days, earning plenty of praise in our Uncharted Waters: New Horizons review. This is the US version of the game. 3D Super Hang-On (SEGA, €4.99 / £4.49) — SEGA's 3D series of classic games finally kicks off, and this bike racing title may be well known to early Mega Drive adopters in Europe; this also featured on a 'Mega' compilation cartridge. This promises some classic racing action, and we'll see how it revs up — alongside that 3D effect — in our upcoming review. 3D Space Harrier (SEGA, €4.99 / £4.49) — This third-person on-rails shooter was an arcade classic that appeared on many consoles originally, blending intense action with some lovely sprite work. This certainly has the potential to look terrific in 3D, yet we'll see whether it lives up to rose-tinted reminiscences in our review, soon. Angry Bunnies (Cypronia, €6.49 / £5.99) — This title draws many ideas from the hugely successful and iconic Angry Birds, throwing in 150 levels for gamers to take on. We weren't fans, however, criticising its level of quality and awarding just 2/10 in our Angry Bunnies review. World Conqueror 3D (CIRCLE Entertainment, €4.99 / £4.29) — This is an in-depth strategy title set during World War 2, which can roughly be equated to a new version of Risk. We were critical in our World Conqueror 3D review, however, due to its complex and tough to decipher interface, plodding progress and long wait times. Mystery Murders: The Sleeping Palace (Microvalue, €4.99 / £4.49) — This one joins the range of hidden-object games available on the 3DS eShop, though does add a light element of storytelling and puzzle solving into the mix. It's not memorable but is, nevertheless, a reasonable effort; we awarded 6/10 in our Mystery Murders: The Sleeping Palace review. Crash'n The Boys Street Challenge (Arcsystem Works, €3.99 / £3.59) — This is actually the first time this game has had the Virtual Console treatment in Europe, and could turn heads with its peculiar premise. It takes sporting events and adds a "street" twist for the competing teams, which seems to be that they fight a lot. 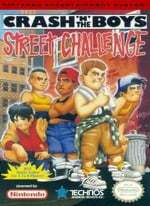 We'll take another look, but we were left underwhelmed in our Wii Virtual Console Crash'n The Boys Street Challenge review. 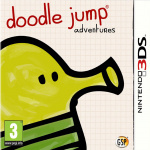 Doodle Jump Adventures (Avanquest, €24.99 / £19.99) — This is a thoroughly playable version of the popular mobile game, even if the pricing and retail release is questionable; check out our Doodle Jump Adventures review for the lowdown. Power Rangers Megaforce (Namco Bandai Games, €34.99 / £28.49) — This game is absolute tosh, read our review to find out why. 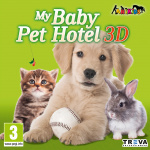 My Baby Pet Hotel 3D (Treva Entertainment, €29.99 / £24.99) — This was released as a download-only game in North America, and the tagline for our review sums it up: "a pile of shih tzu". 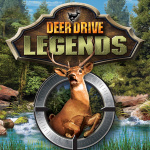 Deer Drive Legends (Maximum Games, 500 Nintendo Points) — WiiWare makes its triumphant return with this new release of a shooter where, unsurprisingly, you shoot deer. We're dusting off our Wii Shop account to bring you a review. Plenty of options for European gamers this week. Let us know what you plan to download in the poll and comments below. Only Mario physical for me. Nothing on this list appeals to me, and I'm getting a physical copy of Mario. 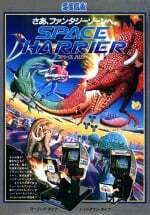 @ThomasBW84 Maybe 3D Space Harrier. I weep at the amount of 3DS shovelware on that list. "North American gamers" in the last paragraph, by the way. @Atariboy Have you played Super Hang On recently ? (I bought the VC Arcade version and I think it is mediocre). What I really want is Afterburner 2 or newer stuff. (At least Manx TT Super Bike type quality if it is a pure racing game). Quite a few titles, but nothing that sounds too great so I'll pass this week. Will pick up my physical copy of Mario when it releases here on Saturday. I'm buying Romance Dawn physically. That's all this week. I've never played the Wii U VC game... sounds interesting! 3D Space Harrier for me. Every week I cringe at those eShop prices. £50 for digital Mario or £35 physical. I want to say that uncharted waters isn't a good choice for virtual console, there are better rpg like Card Master never released in europe, and from HAL!! SO I DON'T UNDERSTAND WHO IS CHOOISING those games. YAHOO!!!!! It'sa me, MARIO!!! I've been waiting for this since the day I 100% Super Mario Galaxy 2! I'm getting it day-1, hour-1, minute-1 as a download Can't wait! May get some of SEGA's 3D Classics one day, eventually. May also get Uncharted Waters eventually one day. And boy, do I look forward to the immature whining on Miiverse about how nintendo doesn't release the same tired crap like city connection and kirby on the VC. Is SM3DW coming at thursday-friday midnight or later at friday like Wii Fit U? Mario download. Buying code from Game for £42.99, no £49.99 for me and still downloading it at midnight. I'm not one to tell people what they should like, but the impression I got from people on Miiverse who were complaining about the choice was that they never even tried the game, let alone heard of it. But it wasn't Mario 3 or Mega Man X, and therefore it was automatically a stupid game. Have you tried Uncharted Waters? It's really quite good. Personally, I haven't heard of this Card game you mention, but I wouldn't begrudge anyone the chance to download it. Mario physical, both Sega 3d classics. Why does Europe get to know what games come out in advance and not North America? £49.99... jeez... If it wasnt bad enough with purchases not being tied to accounts, we get prices like these on top. Planned on getting physical anyway, but could have been persuaded if the price was right. Oh yeah, its-a Mario time! Bring on Friday. Mario on disc. Nintendo, I can get it 10 pounds cheaper if buying physical copy AND it's not forever and ever locked to my console. I really don't see reasoning behind the pricing on eShop. @Zael Uncharted Waters is published by Tecmo Koei. Arcana (Card Master) is publshed by Hal. Tecmo Koei will only submit their own games for to Nintendo for release on Virtual Console. If Hal chooses not to submit Arcana then Nintendo is not able to release Arcana. Most of those games were not translated into english originally. They aren't going to translate them now but they are not playable without a translation. So they aren't getting released no matter how good they are. Kirby sells. Card Master wouldn't. Its that simple. Planning to buy Mario digitally, but I'm afraid it will have to wait a bit (hopefully not too long, that game is a must have!). It's not that I'm/We're anti-download, it's just that we all probably want (cheaper) physical copies of SM3DW, so there's no point in choosing the digital vote! Super Hang-on will be mine! @ThomasBW84 The word Discounts is missing from the heading where your 3DS E-shop Discount's should be I think. I may be wrong, it happens frequently to me. @Zodiak13 Yep, you're right That's fixed now. @Zael Uncharted Waters: New Horizons is one of my favourite pirate games of all time (probably second to the various Sid Meier's Pirates! games) and the trading and exploration parts add greatly to the fun. It's my favourite Koei game, even more than the Dynasty Warrior series. There is also a decent free to play MMO based on it too. This is as exciting as Mario 3D World for me. @edhe Have you tried the free to play Uncharted MMO? It's no Uncharted Waters 2 and only a MMO, but it's still good. @ThomasBW84 You have this article tagged as North America, not Europe. @Knuckles I think it's time for some ATV Wild Ride online again My friend Are you up for it on Saturdays? I will post about it in Online gaming. The US will have to wait till next year for Crash N' The Boys, just like how it took so many months for us to get River City Ransom. I hate NoA. @ledreppe "It's not that I'm/We're anti-download, it's just that we all probably want (cheaper) physical copies of SM3DW, so there's no point in choosing the digital vote! " Oh I totally understand that! But, that's actually why I want the vote removed. Basically people have legitimate reasons for not wanting to get the digital version of retail games; but the vote distorts the data so that we can't see at a glance the actual percentage of people buying each game. Better yet, just make the vote targeted at everyone, digital or otherwise. That way we can all just vote Mario, whichever format we buy it on! @Zael That's the reality of the VC nowadays. Namco (Tales) or Square-Enix (Star Ocean/SoM II) couldn't give two turds about releasing games on the WiiU, let alone VC games. I personally own Star Ocean on the PSP, and until recently, Tales of Phantasia on the GBA (a bit more expensive, that one). While I welcome new VC games, I think the only thing we can really look forward to is (more) N64 games and Gamecube games. But I'm glad you're at least familiar with the game. @MadAdam81 I'd heard about it. As far as I was aware, it was one of those games they released for the Koreans. I never really looked in to it, but I was a bit worried it was excessively pay to win (or pay to play for more than 5 minutes). Why not put original Uncharted Waters on the 3DS? Also L'Empereur a good Koei NES game along with Romance of the 3 Kingdoms 2. Let's hope Crash 'N Boys comes to NA this week for the 3DS VC as well. Or I'd gladly take Blaster Master. wheres the 3ds Youtube app? Nintendo said it's coming coming this month! ughh they delay everything! And maybe Segas 3D classics games. Where's YouTube? Surely it's coming out today. It's the last week of November. wheres youtube!?!??!? It should be released before December, that's on Sunday!!! Come on Nintendo =/ Someone who now something about this? Getting mario on disc from game the limited edition. And 3d sega games on 3ds . @DarkCoolEdge Don't worry about the shovelware. So long as there is a dedicated indie section on the eShop with the good indie games (VVVVVV, Steamworld Dig, Cave Story, etc), it won't matter how much shovelware is added. Plus, there are some major indies coming soon to the 3DS eShop: Grinsia, Shantae and the Pirate's Curse, Retro City Rampage, Shovel Knight, etc. Not sure why Nintendo is ripping you Europeans off with the eShop prices. Here in North America, all the retail games are the same price on the eShop as they are in the store (the MSRP). the fact kirby sells more is still to demonstrate, I speak about a sequel for card master, no one can say if it would sell more, but, even if kirby sells more, I think that we need more variety in games. I understand that they want be sure to sell games, but we can't go on only with mario, kirby etc. Hal continues to produce kirby but card master was a great game for the time, today, with some changement and graphic improvements, with medium investments (less than for kirby) they could produce a great game. I agree about translations, but card master has been translated. The other games are only in japanese but, considering they ask about 10 euro $ for every snes vc game, and that there are brand new games for 10, they could call a translater and translate. Uncharted Waters and Sega Classics... somewhat interesting. Downloading Crash 'n The Boys, pretty much just because Scott Pilgrim referenced it. Also, physical copies of One Piece and Mario. I already own Uncharted Waters on Wii VC, and there's no real point in save states in that game, so I'll be skipping. And I'm with the others, physical copy of Mario all the way! It's the reason I bought a Wii U in the first place! Why do tha download full games always cost more than the boxed version? Mario 3d is 39.99 in the shops but 49.99 to download??? This is the 4th new VC game (not available on Wii) in EU. Wiiware still living?! Who had thunk it! @Windy: Most definitely! I'm buying every Sega 3D classic. @IceClimbers It is not a problem for me, I check internet regularly, but for the uninformed/clueless people that has the handheld. Many end up buying crap that doesn't deserve the money and on top of that they might end up skipping the eShop altogether because of those lousy experiences. Plus, you (as Nintendo) don't want to have another hardware known for its shovelware. SEGA 3D classics for me. As for Mario, I'll get that on disc thanks. @ThomasBW84 Haha, in all fairness I missed the North America, but caught the discounts, maybe we were all almost half asleep earlier, lol. Kind of surprised at YouTube's absence (I usually take the EU updates as a guess at what the NA update might have). All the same, that's not to say it still won't come by the end of the month. Nintendo has occasionally dropped eShop software on odd days (ie: neither Monday nor Thursday) without warning. All in all, it'll get here when it's ready. Besides, I imagine most (if not all of you) here already have a mobile device capable of watching YouTube anyway (iPod Touch, in my case), so waiting a little longer without YouTube on ANOTHER device isn't going to hurt anyone. I´ll get Mario on disc. The emulation is there already, is it that hard to get out all the good old NES and SNES games? At last sega 3D classics they look and play excellently.guy on youtube up loads them in 3d so you can view them in 3d if you got 3d tv.